My research examines Māori identity by focusing on te reo Māori (“The language Māori”) fluency and the experiences that have led Māori individuals to their current understanding of the language. 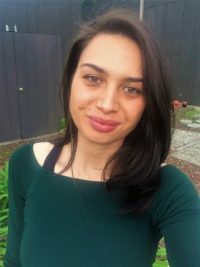 This study proposes that urban-dwelling Māori people between the ages of 18 and 34 experience more barriers learning their heritage language than those living in rural areas. Te reo Māori is a currently threatened language. Speakers living in urban cities are less likely to use the language on a daily basis due in part to it’s lack of necessity in the city. English has long been the language of commerce, education, and law, while te reo is the language of the home and the heart. The goal of this project is to assess the needs of Millennial Māori, who may be thinking of starting their own families, and explore opportunities to transmit the language to future generations. Language revival often begins in the home where it may conflict with the demands of society.